NAIROBI, Kenya (Morning Star News) – In a pre-dawn raid on a predominantly Christian area in coastal Kenya on Sunday (Jan. 31), Islamic extremist Al Shabaab rebels killed at least four Christians, beheading one of them, area sources said. “This is the third time the area has been attacked, and we have lost several Christians,” the survivor said. Maporomoko village has a population of about 2,000 people from Christian tribes – Kikuyus, Meru and Kamba – and from non-Christian or Muslim Orma, Boni and Wasanye tribes, as well as Somalis. The Al Shabaab militants attacked only the Christian areas, the Christian leader said. On June 15, 2014, Al Shabaab rebels attacked Mpeketoni, in Lamu County, selecting out Christian males as they killed more than 57 people, area sources said. The estimated 50 Al Shabaab militants attacked two hotels, a police station and other buildings in a five-hour assault with guns and grenades. Sources told Morning Star News the attackers were chanting “Allahu Akbar [God is Greater]” and killing whoever could not recite verses from the Koran. After Sunday morning’s assault, Mpeketoni residents on Monday morning (Feb. 1) protested terror attacks by Al Shabaab militia in the region. Police had to stop the demonstration of angry Mpeketoni residents to keep them from retaliation attacks on Somalis living in the area. At the same time, hundreds of people in Kaisari, greater Maporomoko and nearby Jima and Nyatha villages have been seen fleeing their homes. 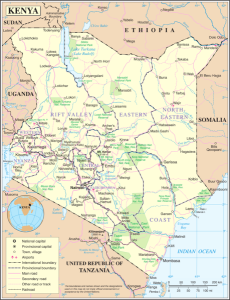 Al Shabaab rebels have launched several attacks in northeast Kenya since Kenyan forces led an African coalition into Somalia against the rebels in October 2011, in response to terrorist attacks on tourists and others on Kenya’s coast.